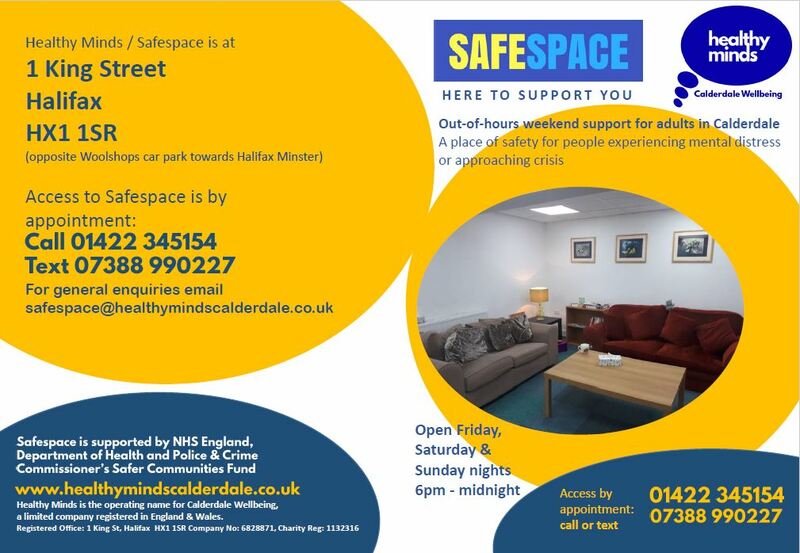 Safespace is a new out-of-hours appointment service in Calderdale, offering support for people in distress during weekend evenings. The office at 1 King Street, Halifax HX1 1SR is open from 6:00pm on Fridays, Saturdays and Sundays, with the latest available appointments at 11:00pm. The office is opposite Woolshops car park towards Halifax Minster. ​You can have up to an hour with a worker – whichever way you’ve contacted us – to talk through what’s happening for you and agree next steps. If you need further help and support, the team will agree onward referrals and keep in touch with you. 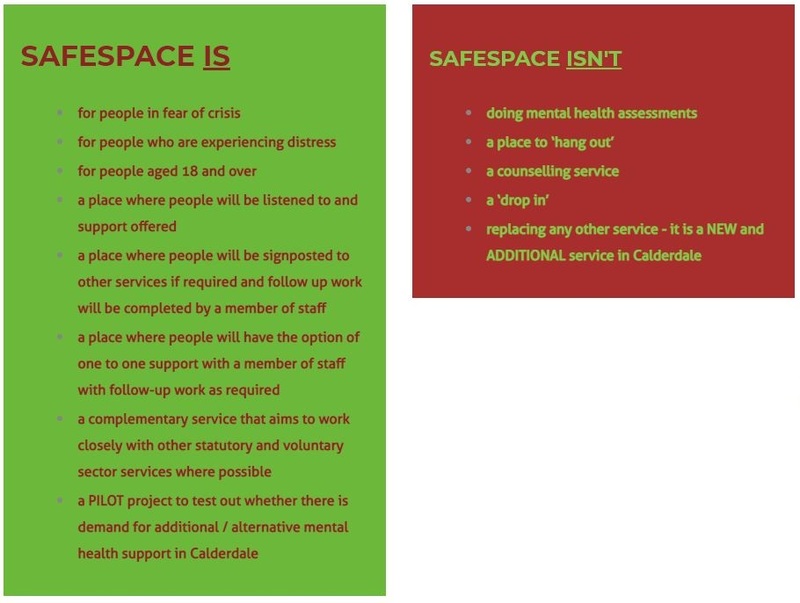 After one-to-one support, if you have come in person to Safespace, you can stay for a while until you feel ready to go home.